Lord Chadlington, the founder of Shandwick and later CEO of Huntsworth, yesterday told parliament that Government should "urgently consider severely curtailing or even banning" all gambling promotion - but also outlined a more nuanced plan to PRWeek. Gambling promotion and marketing is one of the subjects of a consultation launched by the Department for Digital, Culture, Media & Sport (DDCMS), which closes in January. Conservative peer and PR veteran Chadlington operates through his own vehicle The Chadlington Consultancy after leaving Huntsworth last year. He spoke in a debate in the House of Lords yesterday called by the DUP's Lord Browne of Belmont. Chadlington, a previous chair of the charity Action on Addiction, noted that Bet365's CEO was recently announced as the UK's highest-paid boss, saying it was "perfectly clear that the people running gambling are thriving". He went on to note that more than two million people in the UK "are either problem gamblers or at risk of gambling addiction". He went on to discuss research finding that six per cent of young teens "have gambled online using their parents’ account", that some firms seemed to be "offering online gambling games specifically designed to appeal to children", and that Sweden and Australia's legislation in the area of gambling promotion was much further advanced. Chadlington concluded his speech by saying: "I wish to make three points. 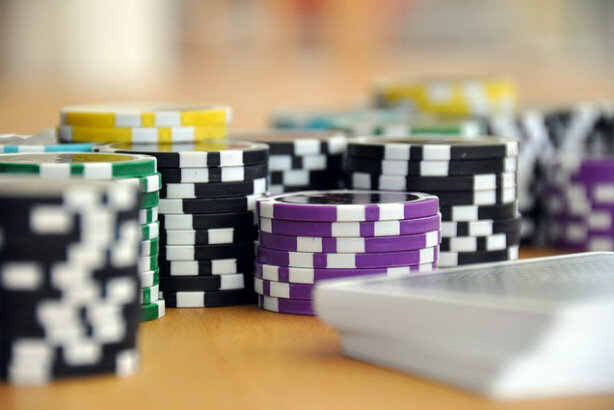 "First, this educational campaign is being outspent by the gambling industry 50 times over. Secondly, the important issue for advertising such as this is the tone of voice, as well as the content. Thirdly, my professional communications experience suggests that this campaign may heighten young people’s interest in gambling, which in turn could lead to further experimentation. "My experience as a father and a grandfather is that the more society tells a young person not to do something, or that it is excessively risky, the more likely they are to do it." Speaking to PRWeek after the debate, he said that he understood that a full ban on gambling advertising was unlikely to happen, but said two particular measures would make a difference: the first is banning advertising during sports broadcasts and where children may be watching with parents. The second was changing the standard warning attached to gambling promotion, a campaign promoted by the Senet Group, an independent body led by four leading betting firms. He said the current wording was "weedy and stupid... 'Stop when the fun stops' is quite a weak warning". As documented by PRWeek at both the Conservative and Labour Party Conferences earlier this year, the debate around gambling legislation has been very tense and adversarial at points. Asked by PRWeek whether those tensions would inhibit proper debate, Chadlington was sanguine. "I think it is the way the decisions are made in the end between insterested parties… we had exactly the same issues with tobacco, with alcohol; it’s what happens - in the end, you get a middle way," he said. Chadlington said he would now prepare a response to the DDCMS consultation, which covers "social responsibility measures for the industry as a whole to minimise the risk of gambling-related harm, including on gambling advertising, online gambling, gaming machines and research, education and treatment". Much coverage of the consultation so far has focused on measures around controversial FOBT machines. Chadlington also brought a debate on the effect on children of gambling advertisements in September.